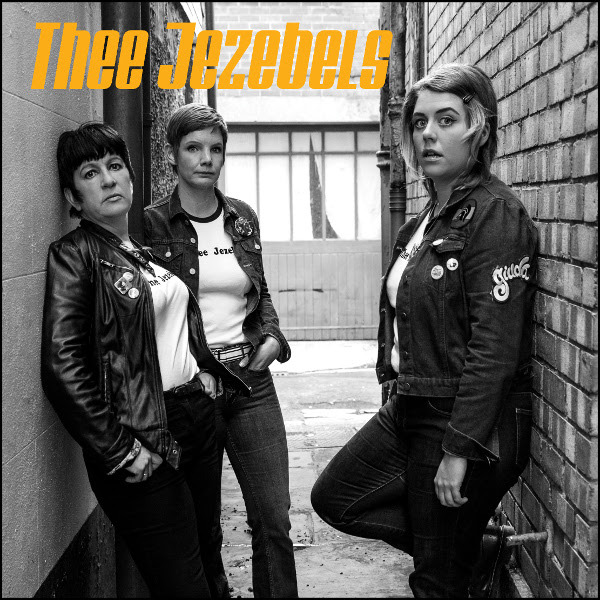 One year after their debut single Thee Jezebels return with four new blistering and high-spirited songs. Side A kicks out the jams with the opener “Mover and a Groover.” This is a no-nonsense punk / rockabilly song about a hangover. And before you can take a breath, “Lorelei” takes off with a strong bass lead for a heavy head banging / gutsy song about the beloved Italian restaurant in Soho that closed its doors in February 2013. Shouts and hand claps on Side B lead into the foot-stomping, rousing “Ain’t Worth the Time,” comparable to a testosterone-laden version of The Shangri Las. Plus Thee Jezebels get a bit adventurous by kicking up the music by a half step for the final verse. The EP closes with “Jezebel,” another high-energy garage-punk rocker tune by these “biker chicks.” Given the raw energy of their music and their punk attitude, I would hate to meet them in a dark alley!